This post is Part Two of the Roofing Glossary of Terms series, covering topics D-H.
Deck: The surface installed over the supporting framing to which the roofing is applied. What does this mean for the homeowner? The condition of roof decking is vitally important to the home. Any compromise to the roofing deck like water under the shingles or around vents can introduce leaks, rotting, loss of performance and require repair or replacement. Dormer: A framed window unit projecting through the sloping plane of a roof. What does this mean for the homeowner? Dormers are often a pleasing architectural feature of a home and its roof, but they can also be places where flashing or shingles wear after repeated storms and leaks are introduced, requiring repair. Double coverage: Application of asphalt roofing such that the lapped portion is at least two inches wider than the exposed portion, resulting in two layers of roofing material over the deck. What does this mean for the homeowner? More coverage usually means better protection but also more cost. Work with your Dallas and Fort Worth roofing company or contractor to understand if double coverage is needed for your home and location. Downspout: A pipe for draining water from roof gutters. Also called a leader. What does this mean for the homeowner? See also Ice Dams. Dutch lap method: Application of very large individual shingles with the long dimension parallel to the eaves. Shingles are applied to overlap adjacent shingles in each course as well as the course below. What does this mean for the homeowner? The Dutch lap method is designed to withstand strong winds, which are common in North Texas. If you’re concerned about strong winds, ask your Dallas and Fort Worth roofing company or contractor if the Dutch lap method is applicable to your home when it comes time to replace the roof. Eaves flashing: Additional layer of roofing material applied at the eaves to help prevent damage from water backup. See: flashing. Exposed nail method: Application of roll roofing in which all nails are driven into the cemented, overlapping course of roofing. What does this mean for the homeowner? Nails are exposed to the weather and may need repair or replacement over time. Exposure I grade plywood: Type of plywood approved by the American Plywood Association for exterior use. What does this mean for the homeowner? Exterior panels have a fully waterproof bond and are designed for applications subject to permanent exposure to the weather or moisture. Exposure 1 panels are designed for protected construction and industrial applications and can be exposed to the elements for a short time, but not permanently. Exposure 2 panels are intended for protected construction and industrial applications where the potential for conditions of high humidity and water leakage exist. Interior panels are manufactured with an interior grade glue and are intended for interior applications only. Flashing: Pieces of metal or roll roofing used to prevent seepage of water into a building around any intersection or projection in a roof such as vent pipes, chimneys, adjoining walls, dormers and valleys. Galvanized metal flashing should be minimum 26-gauge. What does this mean for the homeowner? Flashing is used in a lot of places on roofs. It can become damaged or compromised by high winds, hail, and intense rain storms or even ice and snow. If flashing tears away from the deck’s surface, even a little, water can seep behind or underneath and linger, causing all sorts of unseen problems that may not immediately become known. Flashing is a common roofing repair. A quality Dallas or Fort Worth-area roofing company or contractor should check all the flashing for potential damage or compromised performance. Gable roof: A type of roof containing a sloping plane on each side of a single ridge with a gable at each end. What does this mean for the homeowner? The shape of the gable and how it is detailed depends on the structural system used, which reflects climate, material availability, and aesthetic concerns. Gambrel roof: A type of roof containing two sloping planes of different pitch on each side of the ridge. The lower plane has a steeper slope than the upper. It features a gable at each end. Gutter: The trough that channels water from the eaves to the downspouts. What does this mean for the homeowner? Where gutters attach to roofs can be damaged in storms and are places where water can back up and possibly cause damage to the eaves if not cleaned periodically. Gutters are another area of the “roof environment” that may need repair or replacement over time. HEX shingles: Shingles that have the appearance of a hexagon after installation. What does this mean for the homeowner? 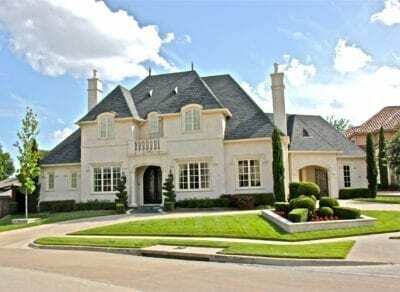 If you’re open to a different aesthetic look for your roof when it’s being replaced, consider discussing HEX shingles with the Dallas or Fort Worth roofing company you choose to do the installation work, but make sure the contractor you use is experienced in roofing design, not just in repair and replacement. Horsefeathers: See feathering strips. Not the Marx Brothers movie of the same name. Roofing terms I-HR including ice dams, nesting, and ridges.